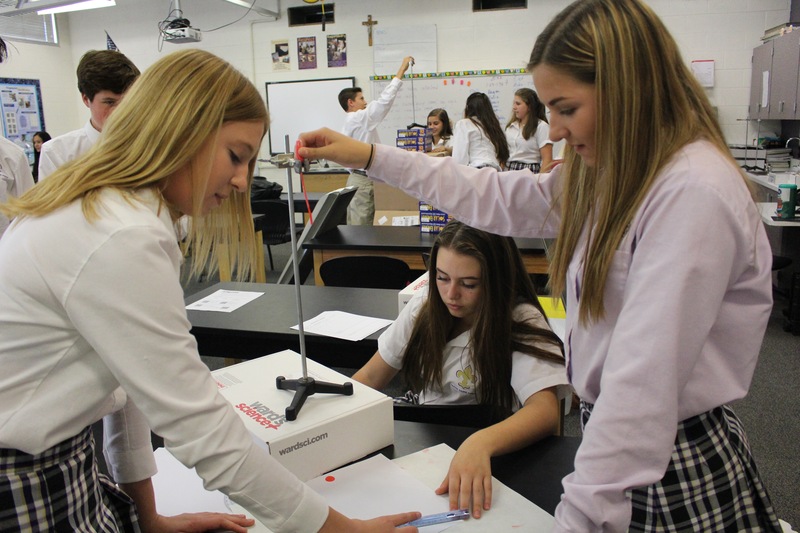 Since 2002, Notre Dame Preparatory has been providing a rigorous Catholic college preparatory education to students in Scottsdale and surrounding communities throughout the Valley of the Sun. Always keeping Christ as the center of our learning, Notre Dame Preparatory is located in North Scottsdale, 20 miles from downtown Phoenix. Our school profile provides information parents need regarding facts about Notre Dame Preparatory, student academic achievement, college matriculation, test scores and more. The school profile is updated annually. Please click here to view and print our most recent school profile. The yearly school profile is updated and posted in the fall of each year. Notre Dame Preparatory requires students to complete a minimum of the following 29 credits in order to graduate. Students must also complete 120 hours of Christian service before the end of senior year.